Ronald A. McBride is the founder and President of South Beach Tax & Financial Services. He is an Enrolled Agent and former employee of the Internal Revenue Service. With his 30 years of experience, Ron is experienced and qualified to represent his clients with the IRS. Ron provides our office with the high professional standards and direction that make South Beach Tax one of the leading tax businesses. 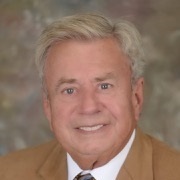 Ron is an avid golfer and enjoys spending time with his wife and six grandchildren.